The walk starts from Caversham Bridge car park to the rear of the Holiday Inn Hotel. It takes you round the heart of Reading town centre as well as the Abbey ruins. It also passes through the 'Oracle Shopping Centre'. From the former ‘Great Western Railway’ terminus opposite the Castle, the route joins and follows the River Thames for a while. At various points along the route Windor Castle is visible in the distance. The route returns to the station via part of ‘The Long Walk’ and Windsor High Street. After crossing the River Thames the route goes through Eton passing Eton College. The route then follows the Jubilee River for a while to reach Eton Wick. The route returns along the River Thames to Windsor. At various points along the route Windor Castle is visible in the distance. This trail is routed around the former RAF and USAF Airbase which has been put back to common land following its closure and now owned by West Berkshire Council. The route follows well defined paths that were once the taxiways and runways of the former airfield. Passing buildings and sites on the airfield and Business Park that are now of historical interest. The walk takes you a short distance on the ridgeway path of the Chiltern Hills, before winding its way up through Wendover woods for far reaching views of the Buckinghamshire countryside. Coming off the hills you pass RAF Halton and its airfield, into the picturesque village of Halton and the churchyard with military graves. You then follow the canal back into Wendover village. 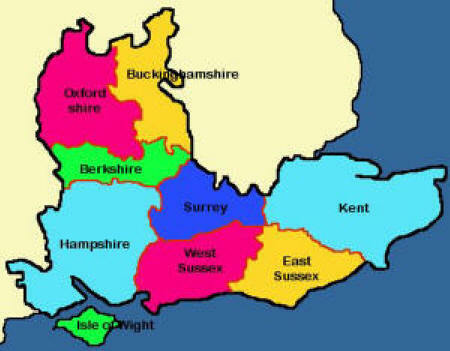 Queen Elizabeth Country Park is situated within the South Downs National Park between Petersfield and Portsmouth. 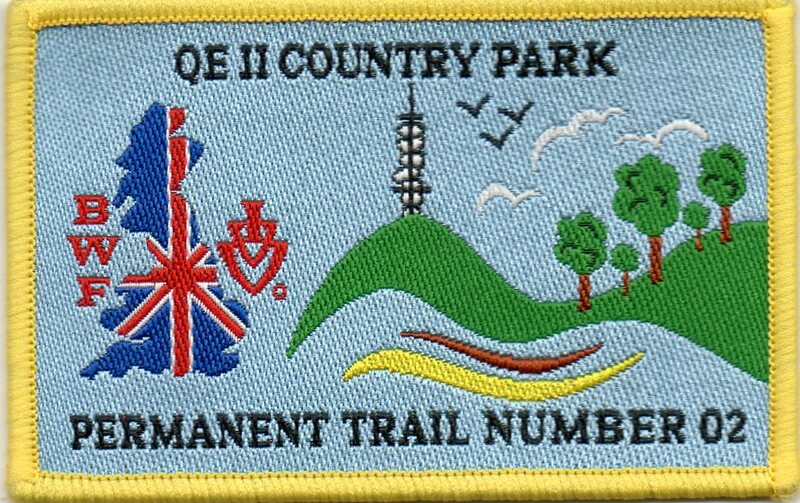 It was opened by Queen Elizabeth on the 2nd of August 1976, and is an established outdoor activity centre with waymarked trails. It is open all year with a visitor centre and café. The route takes you up onto the South Downs with views across to the Isle of Wight and the Solent. The walk visits the historical sights of the city, including the cathedral and the Round Table. A section of the route climbs the steps to St Catherine's Hill to afford excellent views over the surrounding countryside. The route takes you round many places of interest in this old historic town. It includes old waterways and the River Test, country lanes, some woods and open fields. There are many pubs and restaurants available in the town. This walk takes you through the countryside of north Hampshire, passing through the villages of Odiham and Greywell. The route takes you past the entrance of RAF Odiham, where the Queen reviewed the Royal Air Force in her Coronation year. It also follows a short distance along the Basingstoke canal passing the ruin of Odiham Castle (also known as King John's Castle). A walk round the city taking in many historical sites, as well as along the pier to see the busy seaway and possibly find a cruise ship in dock. The trail starts at Portsmouth Harbour close to the Naval Dockyard which houses the naval historic HMS Warrior, HMS Victory and Mary Rose museums. The route follows through Gunwharf Quay and passes the naval heritage sea defences, and the D-Day Museum & Overlord Tapestry. This walk starts at the Alver Valley Country Park and is routed through the historical town of Gosport, along the coastal path and promenade to Lee-on-Solent before returning back to the Country Park, passing many WW1 historic features and visitor attractions throughout the route. The walk visits the countryside where WWI Training Camps were established before the war and continued in use virtually throughout the conflict. There are also good views of the City of Winchester. The walk follows footpaths across farmland and through woods to climb up onto the Downs overlooking the sea, to finally walk through the seaside town of Shanklin. A level walk along an old disused railway track with a climb onto the Downs above Shanklin, then down onto the coastal promenade with magnificent sea views. Follows the coastal path before climbing the Downs into Bembridge, returning inland to Shanklin. A circumnavigation of the island using the signed "Coastal Path". Not strenuous apart from the distance. The I.O.W. bus system makes it easy to split it into short days. An easy country walk, from the Ferry Terminal, visiting unspoilt Isle of Wight countryside. A beautiful walk round the western end of the island, over the Downs following the coastal footpath. Views of The Needles and the Solent. A walk through the RSPB reserve and across Culver Down with views over the English Channel. Gateway to England Dover has a plethora of historical interest from the Romans to modern times. Today it plays a major role as a seaport to the continent. 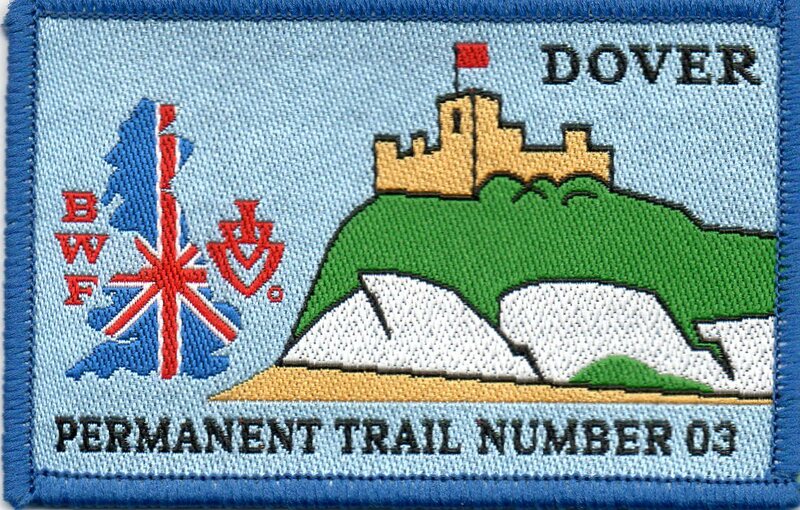 The walk visits the town and heads off up to the White Cliffs and the South Foreland Lighthouse, returning via the visitors centre with the magnificent Dover Castle high on the hill. Back down the steps and along the promenade passing numerous commemorative memorabilia and eventually returning to the Old Gaol through the mainly pedestrianised shopping street. Explore the world of Inspector Morse. Walk into Oxford along the canal and then pass all the main tourist sights and colleges before following the canal and River Thames to Port Meadow and the Trout Inn. The walk takes you over Henley Bridge and up Remenham Hill before joining the river and going along part of the annual regatta course. It passes the beautiful Marsh Lock with its unusual horse bridge to reach Shiplake Village, before returning to Henley. A mainly rural walk on footpaths, bridleways, green roads and riverbank paths from the Cotswold town of Burford, passing through picturesque villages and hamlets. Plenty of cafes, pubs and shops in Burford. A short tour of quaint Woodstock, before taking a circular walk through the extensive grounds of Blenheim Park, with good views of Blenheim Palace (the route does not involve accessing any of the "Pay" areas of the grounds). This walk takes you along the Rivers Thames and Ock. It explores the rich historical heritage of Abingdon which is England's oldest continuously occupied town. The Michaelmas Fair held early October is the longest street fair in Europe. A pleasant walk through th Oxfordshire countryside between Chinnor and Bledlow. After leaving Chinnor, the outward route uses tracks and part of the Ridgeway, with the return route using farmland footpaths. Red Kites can usually be seen flying. This 14km circular walk starts from Guildford and visits the churches of St Martha and St Catherine on the North Downs, the ruins of Guildford Castle and the River Wey towpath. This is a relatively easy walk visiting two villages just south of The Hog's Back. The walk passes close to Puttenham Priory dating back to 1760. The village well in the adjacent churchyard was used up to 1750 and then re-discovered in 1972 after the covering collapsed into it. This walk visits an extensive hill-fort dating back to 2000BC. The area has many traces of the shafts of flint mines sunk by men and women of the Bronze and New Stone ages. The walk passes Findon Place (a handsome Georgian house of the late 18th Century) St Georges Church dating back to 1053, Gin Inn which dates from 1675 and Mepcote Green site of a sheep fair since 1790. Kyra's Trail follows the lanes, footpaths, bridleways and tracks of West Sussex. It includes downland, woodland and farmland passing through the villages and hamlets of East Dean, Charlton Heyshott and Graffham, with their Saxon Churches and delightful Sussex Pubs. The walk follows part of the 'Sussex Border Path' and 'High Weald Landscape Trail' between West Hoathly and Bluebell Railway's Kingscote station. The walk goes through Bluebell woods which are best viewed in May. Steam trains run regularly on the railway. This walk follows footpaths and minor road through varied countryside including a section alongside the Bluebell Railway. The walk also passes close to Horsted Keynes station and provides a good view of the regular steam trains that run on the railway. The walk joins the ancient town of Arundel with its Cathedral and Castle (for 500 years the home of the Dukes of Norfolk) and Amberley (home of the Chalkpits Industrial Museum) via the riverside footpath, crossing the recently rebuilt suspension bridge. The route returns through woodland, farmland and meadows.